The navigation grid using degrees minutes and seconds. All points are referenced in terms of a point on the equator grid south of Greenwich England UK. The direction suffixes N,S,E,W are in relation to this point. Latitude and longitude are the basis of navigation. The world is divided into a grid made up of imaginary parallel lines running from the north pole to the south pole called longitude and another set of imaginary lines parallel to the equator. There is an imaginary point in the ocean on the equator directly south of Greenwich UK that is the reference point. The line of 0 longitude is called the prime meridian. 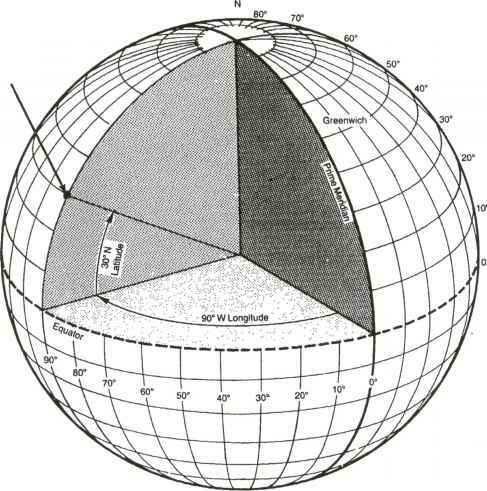 The angles in navigation relate to which angles latitude and longitude from the center of the earth to the surface in relation to the point 0º N and 0º E.
While the earth is not perfectly spherical, for most calculations it can be assumed to be. Longitude is measured as how far east or west from this line of zero longitude. all of these measurement are in degrees, where there are 360 degrees in a full circle. degrees are also called degrees of an arc. degrees can be subdivided into smaller parts for greater precision as the difference in distance between 35S and 36 S in 111.12 KM or 69 Miles. degrees can be shown with a number following a decimal point called decimal degrees. In this case both are showing the same number. take the decimal part and multiply by 60.
the whole part of this number is the minutes. If there is a decimal part multiply by 60.
this number is the number of seconds. there may be a decimal part you may chose to add this to your seconds or leave it off depending on the level of precision required. remember 1 second of an arc is about 30 meters of about 101 feet so your decimal seconds is a subdivision of this amount in most cases not relevant and a level of precision neither necessary or possible to obtain with out complex instruments. 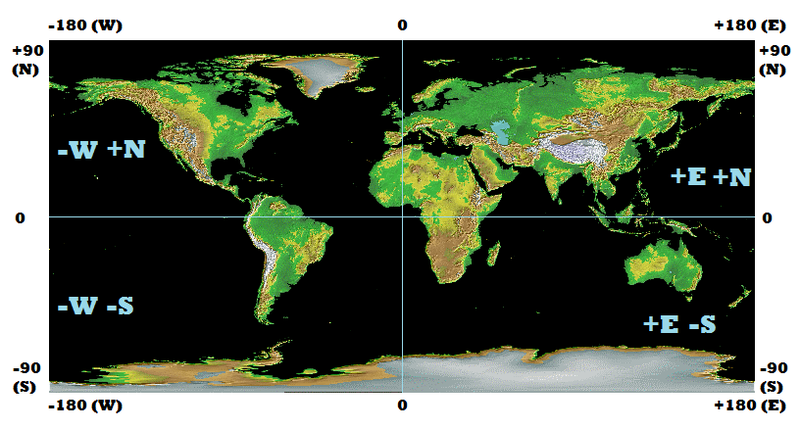 To describe a specific position on the earth both longitude and latitude need to be specified.